Rockwell lifted the Clayton Hotels Munster Schools Junior Cup title at Irish Independent Park yesterday, with first-half hat-trick of tries proving decisive. St Michael's came from nowhere to down Blackrock with two late tries by Seán Egan and David Fegan, claiming the Leinster Junior Cup in dramatic circumstances at Energia Park. Methodist College outplayed Campbell College, scoring seven tries to two, to secure Ulster Schools' Cup glory at Kingspan Stadium. Donnybrook was bathed in blue as St Michael's College secured the school's third Leinster Senior Cup in some style. St Michael's captured their third Leinster Schools Senior Cup at the expense of first-time finalists Gonzaga at the RDS this afternoon. To lose one schools cup final is unfortunate. It will be St Michael's who will entertain the prospect of a Senior-Junior Cup double as they qualified to take on Blackrock back at Energia Park next Wednesday. Blackrock College are back into the last two of the Leinster Schools Junior Cup, making it their seventh consecutive final starting with the 2013 victory over Belvedere College. St Michael's and Gonzaga will meet in the Leinster Senior Cup final at the RDS on St Patrick's Day. St Michael and Gonzaga will meet in the Leinster Senior Cup final at The RDS on St Patrick’s Day. CBC ran in seven tries at Irish Independent Park yesterday as they saw off Ardscoil Rís to book a place in the final of the Munster Schools Senior Cup. It was always going to take something special for Gonzaga to make their first Leinster Schools Senior Cup final and it came in the form of a hat-trick from prop Henry Godson at Energia Park. Conor Anderson led CBC Monkstown to Vinnie Murray Cup glory at Energia Park with a hat-trick of tries yesterday. Connacht Schools Cup champions Garbally took another step towards a 47th Senior Cup crown when they produced a devastating display to overwhelm Sligo Grammar School in the first of this year's semi-finals. Free-flowing Bandon caused a big upset when they comprehensively beat Glenstal Abbey in the Munster Schools Senior Cup quarter-final replay at Thomond Park. It was just last year when St Michael's threw away a 16-point lead in the last 10 minutes of the Leinster Senior Cup semi-final to Belvedere. It was just last year when St Michael’s threw away a 16-point lead in the last 10 minutes of the Leinster Senior Cup semi-final to Belvedere. Leinster League winners Gonzaga are determined to ruffle feathers in the Senior Cup. Leinster League winners Gonzaga mean to make a bold bid to ruffle more feathers in the Senior Cup. A suspected outbreak of mumps at Blackrock College has seen their Leinster Schools Senior Cup quarter-final against St Michael's postponed. Belvedere sent out a statement of intent at Donnybrook yesterday with an emphatic triumph over Cistercian College Roscrea. It took the opportunism of John Maher to guide Clongowes Wood into the Leinster Schools Senior Cup quarter-finals at Energia Park. Defending champions Blackrock were made to fight right to the last minute to overcome Pres Bray at Energia Park yesterday. Terenure's quest to claim the Leinster Senior Cup for the first time since 2003 remains on track by virtue of a nail-biting first-round win over St Mary's College. Such is the rate with which young players from all four provinces are now making the considerable step up to the professional ranks, the schools game remains front and centre in the development of Irish rugby. Eight 2019 Leinster Schools Senior Cup games will be shown on UK-based TV station Freesports, it has been announced. 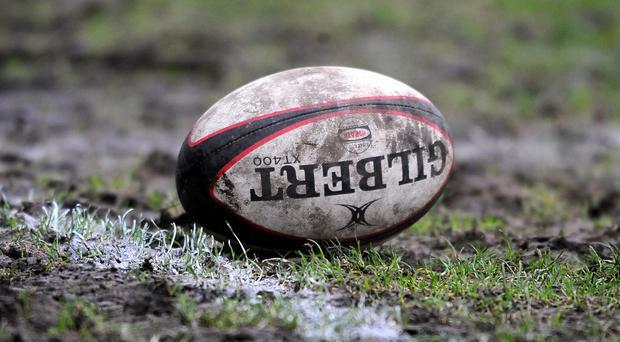 Reigning champions Blackrock College have been pitted against Presentation College Bray in the first round of the 2019 Leinster Schools Senior Cup. Blackrock chose the biggest day on the schools rugby calendar to produce their most complete display of the season.